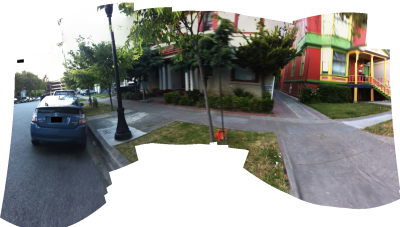 This panorama was created from the captured frames of a video right after we found a parking ticket on my Prius. Unfortunately the video was shot vertically, which makes it somewhat difficult to get the full feel of the area. To remedy this, I got the idea to try and stitch together some of the frames from the video to make a large, wide-angle, still picture. If it works for people taking normal pictures it should work with video too, or so my reasoning went. The stitching was performed using Hugin. Some parts are a little blurry because of motion blur, but over all I think turned out rather well—considering that she was shooting the video without thinking that I would be attempting to stitch the frames together later. I'm using this picture (and the two below) as evidence for fighting the parking ticket on the grounds that there was no indication in the immediate vicinity that parking was restricted in this area. Do you see any restricted parking signs? Just a quick informational post: I just got back from my ~2 week vacation, during which I had practically no time to check my email. It may take me a day or two to go thru it all, but if you sent me an email over the past two weeks I'll eventually get back to you. 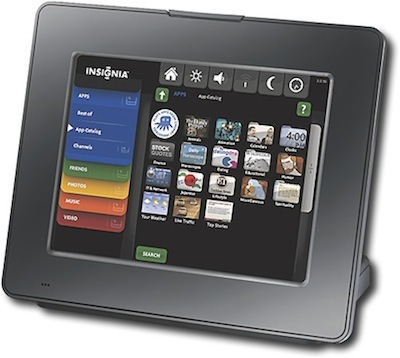 I think I just found the perfect device to be the graphical user interface of my home automation project: the Insignia Infocast. It came to my attention via one of the people who worked on it: Andrew "Bunnie" Huang, the creator of the Chumby. 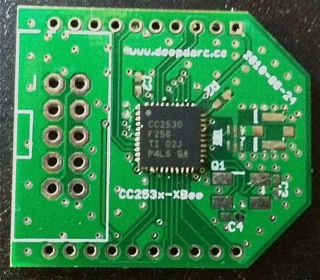 According to a relatively recent blog post by Bunnie, the device was designed to be very hackerDIY-friendly. Enabling SSH on the device is a snap, and as an added bonus it will even automatically install GCC for you. For $169, this is a great deal. 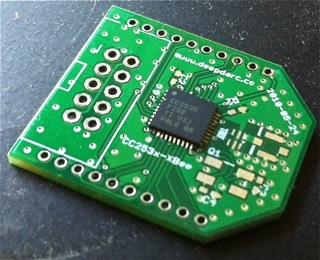 Check out Bunnie's blog post for more details on the device.